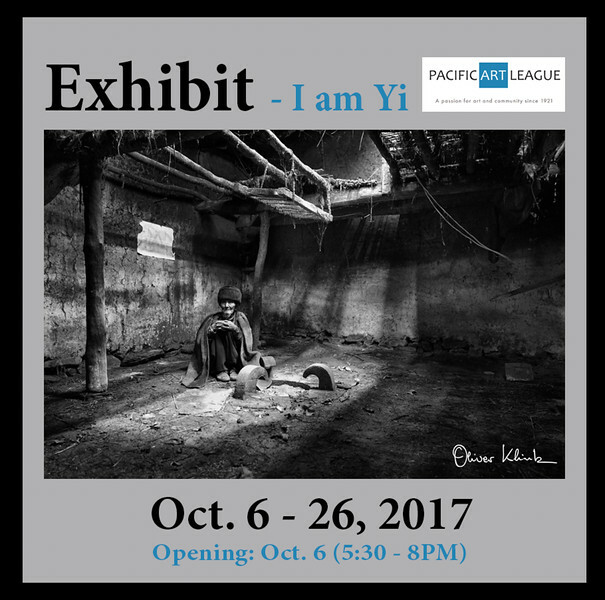 The Pacific Art League of Palo Alto is pleased to accept your submission, "Outlasting My Dwelling," into "Landscapes, Seascapes and Cityscapes". Congratulations! Your artwork will be on view from October 6th-26th, 2017. "Outlasting my Dwelling" is part of the body of work - I am Yi. The Yi are the poorest Chinese minority living in the remote mountains of the Sichuan province. They strive to survive, to support each other and to protect their culture from modernization. Education, perceived as a disruption, is a path to a “better life”, but offered only to the eldest two children. The large number of younger children simply take care of their siblings. Their future, bleak at best, can rapidly take a turn for the worst. What seem uncontrollable changes of the world we live in are magnified by their isolation. Environmental disaster, such as the Sichuan earthquake of 2008, which killed 69,000 people, changed the dynamic of the region to either abandonment or on the contrary to “build up” for commercialization. The Yi are proud of who they are and changes to their lifestyle make them homesick. Are their stories and situations unique? They may or may not be, but they are real. Spending time traveling thru their land, you are on an emotional roller coaster, ranging from rejection, to resentment, to intrusion. The acceptance seldom felt, reminds us that changes in life are hard to accept, that the understanding of each other’s genuine feelings takes time and should prevail over commercial cynicism. Do their struggles invite us to remember our past, to draw parallels to the changes of our modern society? History repeats, but is forgotten until visible in front of our eyes and soul. I felt I travelled thru time and found a piece of my own history. I cared about the people I photographed, perhaps anticipating what would be next for them.